It was nice of someone to post this in the LKL Facebook group yesterday. Too late to provide much advance notice, but I’m posting it now for the archives. I hadn’t heard of the Association of Korean Communities in the UK before. 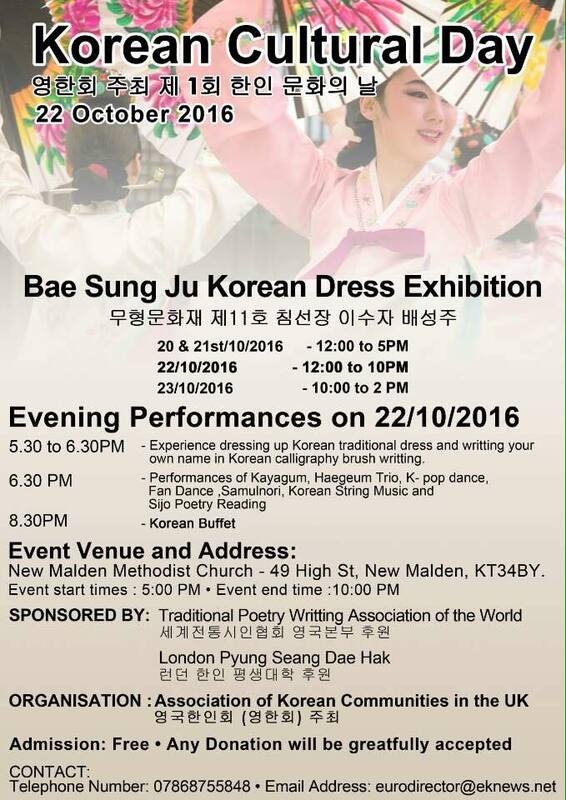 This sort of event used to be sponsored by an organisation called the Korean Residents’ Association but as far as I am aware there is no such single organisation now – something I noted at the time of Kingston Welcomes Korea last year.